A chant that I do with my Primary 1 kids. 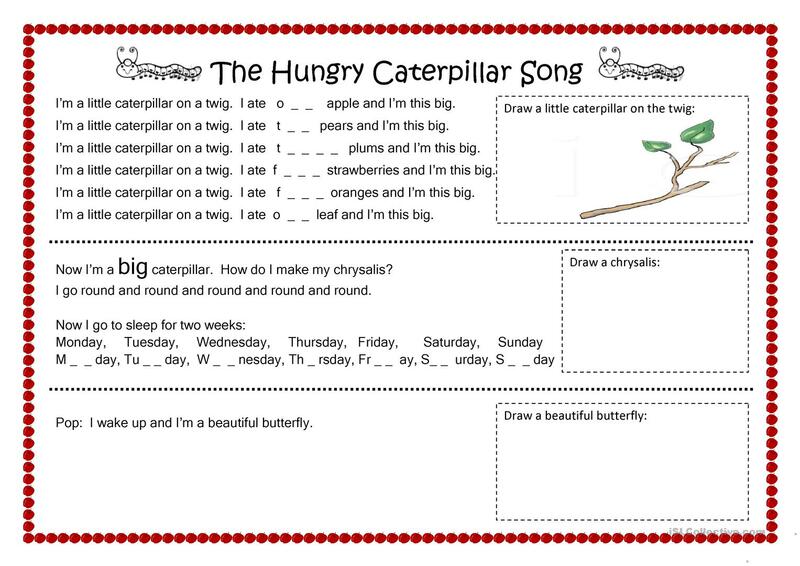 Can be used with The Hungry Caterpillar by Eric Carle and Bugs World 1 Unit 1. 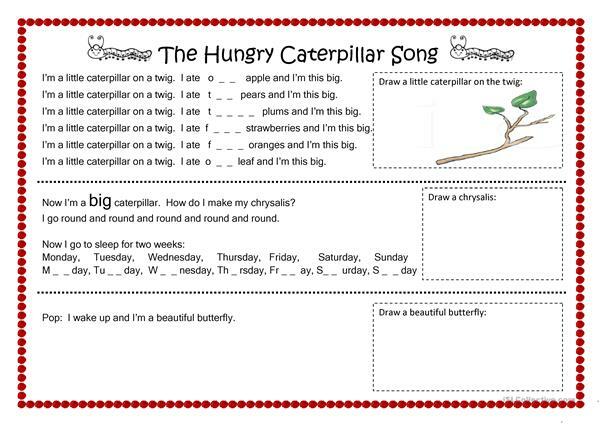 The present printable, downloadable handout is meant for elementary school students and kindergartners and nursery school students at Beginner (pre-A1) level. It is great for practising Present simple tense in English, and is a valuable material for strengthening your class' Spelling, Speaking and Writing skills. 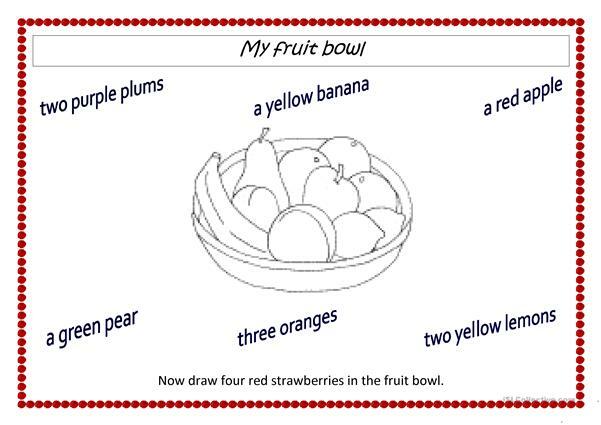 It features the vocabulary topic of Numbers.